When it comes to selling your home, the importance of good presentation cannot be overstated. If a home is clean, the gardens are well maintained, and the heating/cooling system is working (cool in summer, warm and cosy when selling in winter), then buyers will be impressed on arrival and start looking through with a positive mindset. But, if a prospective buyer’s first impression is of clutter, chaos or a lack of space then they will automatically assume the house is too small and has insufficient storage. This is why it is so important to declutter your home before it goes on the market. From the very first photos of the property, right through to the open for inspections, you want to project an image of spaciousness and organisation. So, how can you go about decluttering your home in preparation for a sale? Ask for an honest second opinion: You may feel that your home is already perfectly staged for a sale, but an honest second opinion may help you to get a better perspective. Your real estate agent will likely be able to make some recommendations, including which areas of the home it would be best to focus on. Remember that cupboards will be opened: Your home may appear immaculate to the casual observer but remember that interested buyers will be opening up cupboards to see what the storage potential is like. A thorough clean out of all cupboards and storage spaces will make sure that your home is impressive on every level. Categorise by type: It can be useful to go through the house room by room and evaluate exactly what you want to be moving with you to the new house. This is a great time to get rid of anything broken, faded or seldom used by creating a “things to go to the tip” space, while items that are in good condition but that you no longer need or want can go into the “garage sale or op shop” pile. 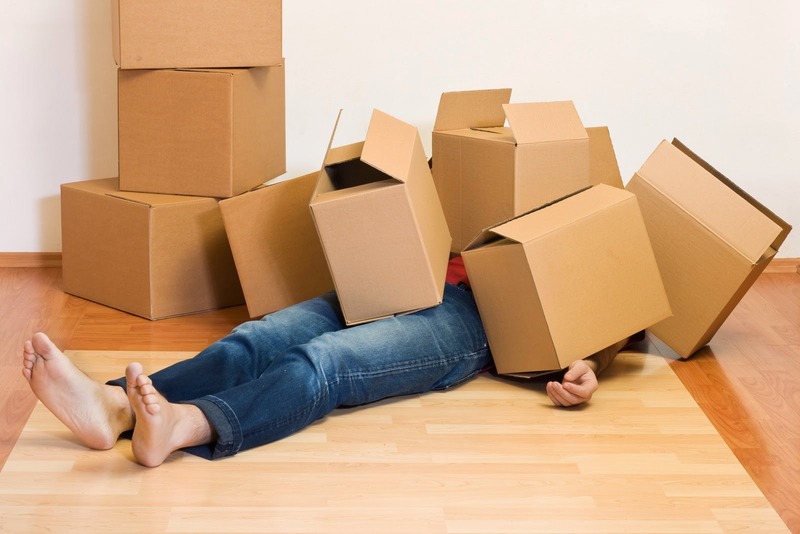 Start packing: Anything that you won’t need in the short term is now ready to be packed up in preparation for the move. Think ornaments, those extra books that are piled next to the bookcase and anything else that may be taking up excess space (the bread-maker you only use on special occasions, the boogie boards and snorkelling gear piled under the carport, etc.). It can also be a good idea to pack away any personal items and family photos since this will make it easier for buyers to picture themselves living in the home. Make the kitchen look spacious: Kitchens are one of the key areas of the home that you don’t want to look cluttered. Even a huge kitchen can appear cramped if all of the benches are covered with appliances, the walls are hidden behind hanging utensils, and the fridge door is crowded with school notices, artwork and assorted bills. Remove everything that isn’t absolutely necessary so that the true size of the kitchen can be appreciated. Kids rooms should be included: It’s no secret that children’s bedrooms are often the most cluttered areas of the house. While you shouldn’t have to pack all of their toys away in preparation of a sale, neither should you completely ignore these rooms when it comes to decluttering. Removing posters from walls, storing items neatly in cupboards and packing away any seldom used sporting equipment can make a big difference to the appearance of a child’s bedroom. Store items out of sight: It’s no use packing things up neatly and then just tossing them all in the garage – buyers will be looking in there as well. Any unnecessary furniture and all items packed into boxes should be stored somewhere else for the duration of the sale process. Renting space at a short-term storage facility is a great way to store items safely and securely out of sight. While the idea of decluttering may seem overwhelming to some, this is actually a great way to get organised for the eventual move. It’s ok to begin small; just pick a room and get started. And don’t be afraid to ask family and friends to help – just so long as you’re willing to return the favour when it’s their turn to sell!